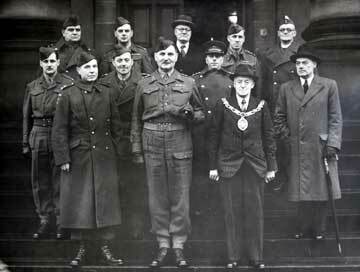 Morecambe and Heysham Home Guard in 1940 before the issue of uniforms. 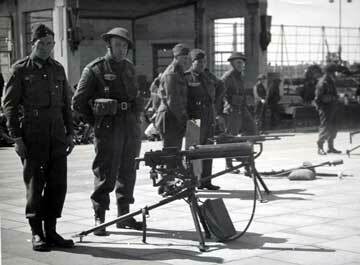 Home Guard weapons demonstration, Morecambe, circa 1941-43. 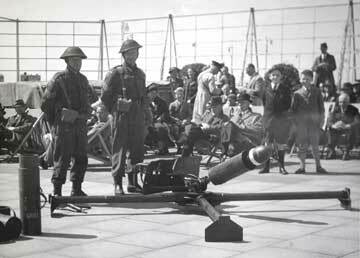 Home Guard weapons demonstration, Morecambe, circa 1941-43. 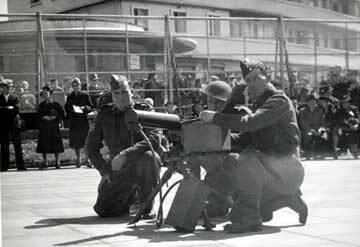 Browning Machine Gun. 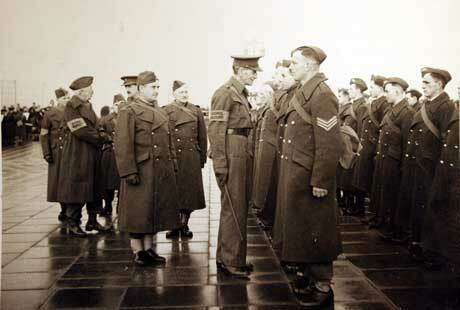 Lancaster County Battalion Home Guard being inspected by Lieutenant General Sir James O'Dowda, September 1941. 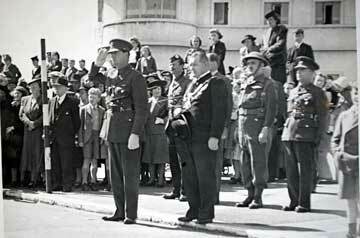 Colonel John Bois (with the Home Guard armband) is stood at the left speaking to the area commander. 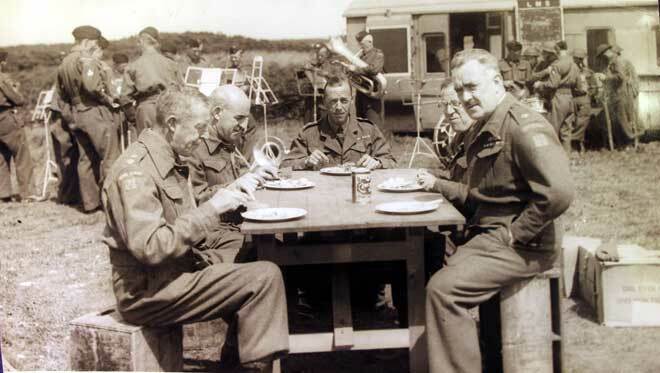 Officers of the 4th (South Lonsdale) Battalion, County of Lancaster, Home Guard (EL4) having lunch whilst the band prepares for a rehearsal. The former railway carriage to the rear has been adapted for use by the soldiers. The photograph appears to be by a Morecambe photographer and may well be at Crag Bank, where it is known the Home Guard trained. 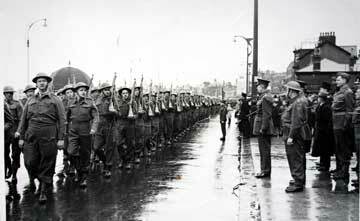 Home Guard parade, Morecambe, circa 1941-43. 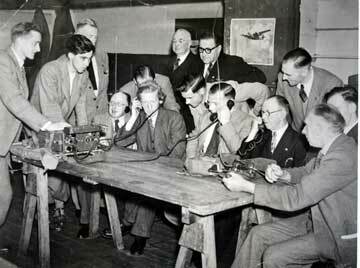 Home Guard officers, Morecambe, circa 1943-44. 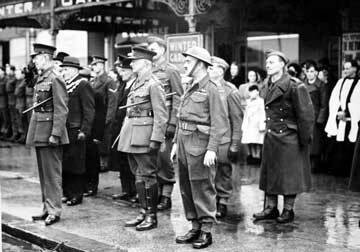 Home Guard parade, Morecambe, saluting base in front of the Winter Gardens. 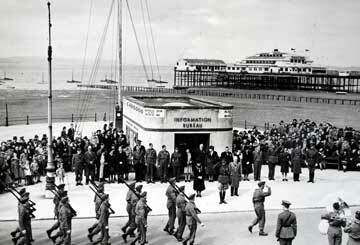 Home Guard parade passing the Winter Gardens, Morecambe. 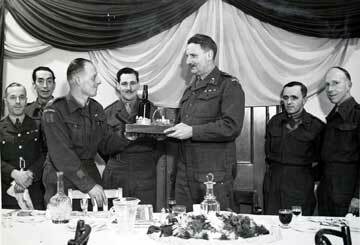 Morecambe Home Guard, presentation circa 1944. No further details. 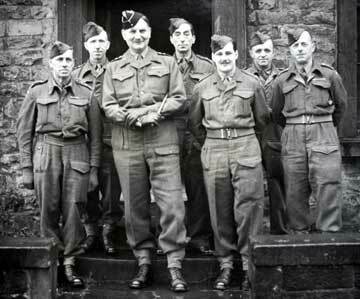 Officers of the Morecambe Home Guard, 1944. Morecambe Parade, during 'Salute the Soldier Week' 1943. 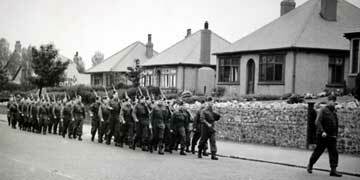 Morecambe Home Guard on Parade. No further details.